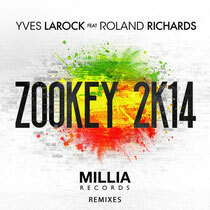 With new edits coming from Muzzaik, Simone Vitullo, LaBass, Mark Ursa and Leonardo Glovibes plus stadium, arena and sunshine mixes which should be ideal for festival, Miami and Ibiza plays, Yves Larock’s ‘Zookey 2K14’ is back again and looks set to win over a whole new set of fans. Originally released in 2005, signed to Defected and Africanism and a certified classic with huge radio airplay and dance floor recognition, ‘Zookey (Lift Your Leg Up)’ was a blend of upbeat percussive lines, sleazy electronic guitars and Caribbean melodies fused around Roland Richards’ rolling vocal line. For 2014, the vibe is still the same thanks to the reoccurrence of the instantaneously recognisable central riff, but the tone has most definitely veered off in the general direction of all things deep. 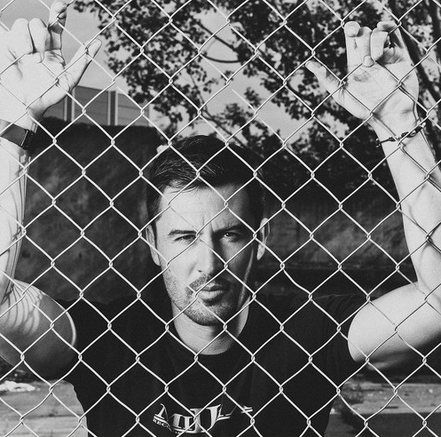 Long-term Larock stalwart Muzzaik offers up a chugging, escalating rendition perfect for that mid-set progressive power-up, while the package’s Main Mix takes the certifiably filthy route. Italian nu-wave producer Simone Vitullo delivers a stripped back edit full of muted samples and undulating deep elements, Labass highlights the instrumental and choral sections that elevated the original. Brazil’s Mark Ursa brings the bass for a dirty rendition that twists and warps in and out of the original; Italian veteran Leonardo Glovibes puts together a Latin-inspired remix packed with syncopated beats and high-end percussion. Rounding off are the Stadium, Arena and Sunshine remixes, doing exactly what they say on the tin. It’s out 7 March on Millia Records, check it out below. You are so cool! I do not believe I have read anything like this before. So nice to discover another person with a few genuine thoughts on this subject. Really.. thank you for starting this up. This web site is one thing that is required on the web, someone with some originality!